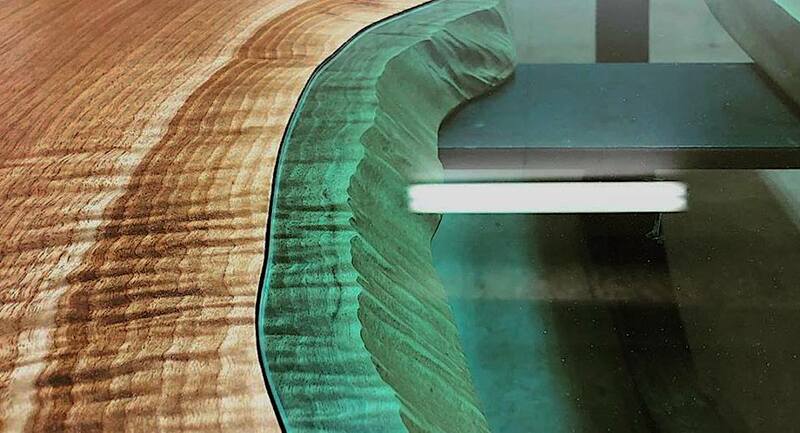 If you’ve been following us for a while you’ll know we love reclaimed wood design. 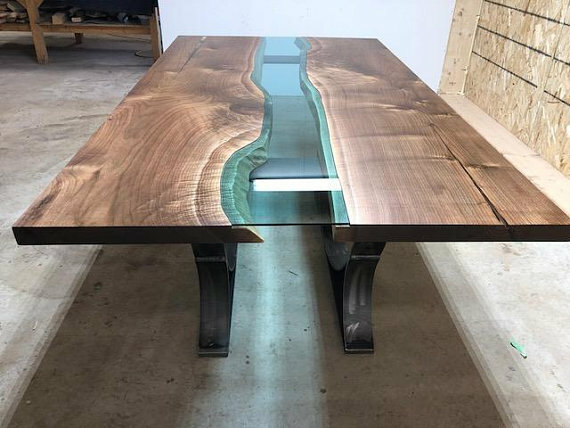 This week we’ve got another incredible work of art from Plank To Table in Barrie, Ontario. 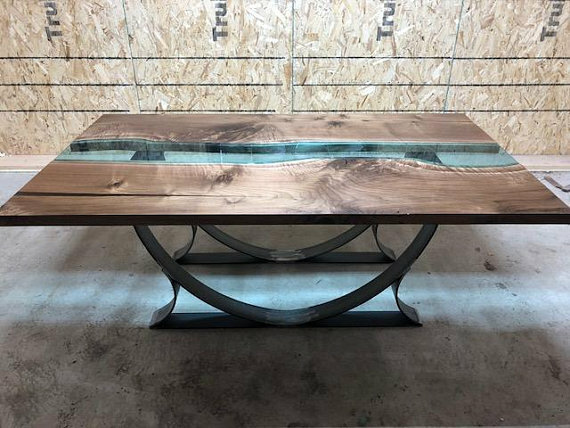 This family operated Canadian company has been creating upscale handcrafted furniture for over 20 years. 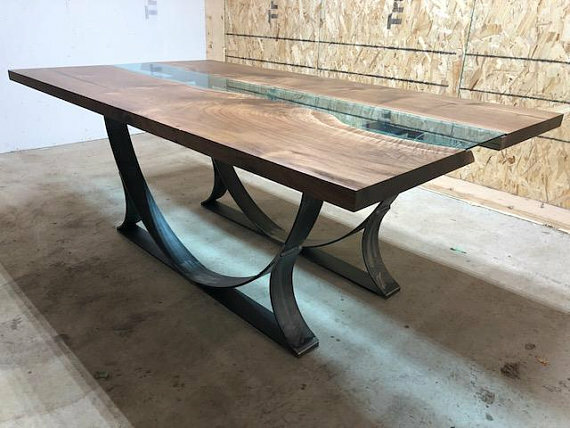 I came across this specific table designed by them and had to share with our readers here. 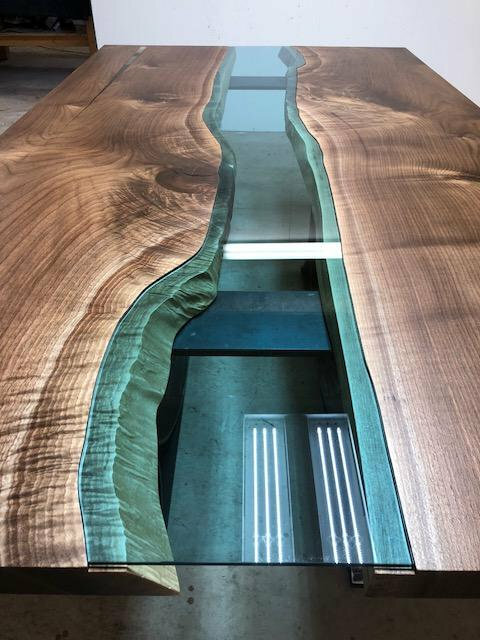 This table is made with black walnut and is set on a half moon base. It’s currently for sale in a variety of sizes starting at $7,000 CAD on Etsy.